Bent Tree, opened in 1972, is a scenic course situated in the beautiful North Georgia Mountains. 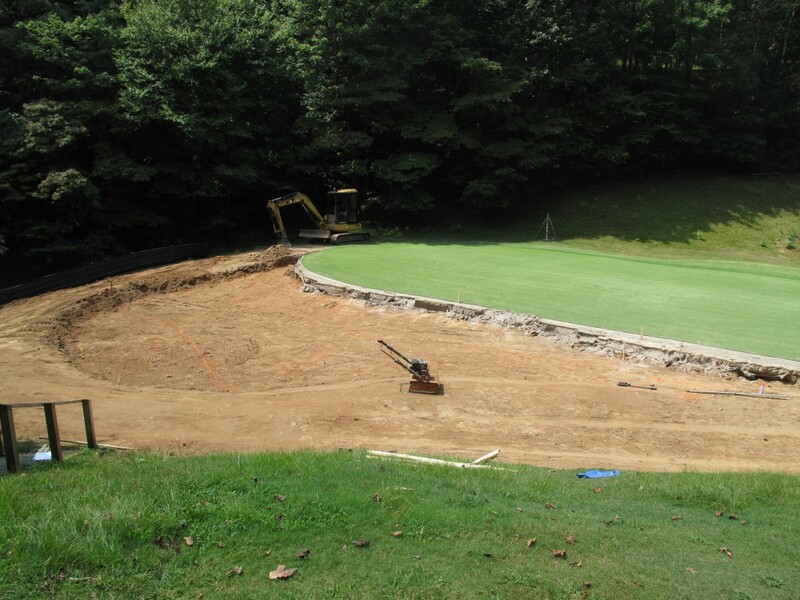 I have helped the Club with several projects through the years, including enlarging and rebuilding the practice area and redesigning two greens to make them more playable. The difficulty of the former fourth green was often described as trying to the land a ball on the crowned hood of a car. The front half of the green was essentially a false front and balls would roll back off the green. Most of the back half of the green sloped away from the tee, making it nearly impossible to stop a ball on the elevated green. 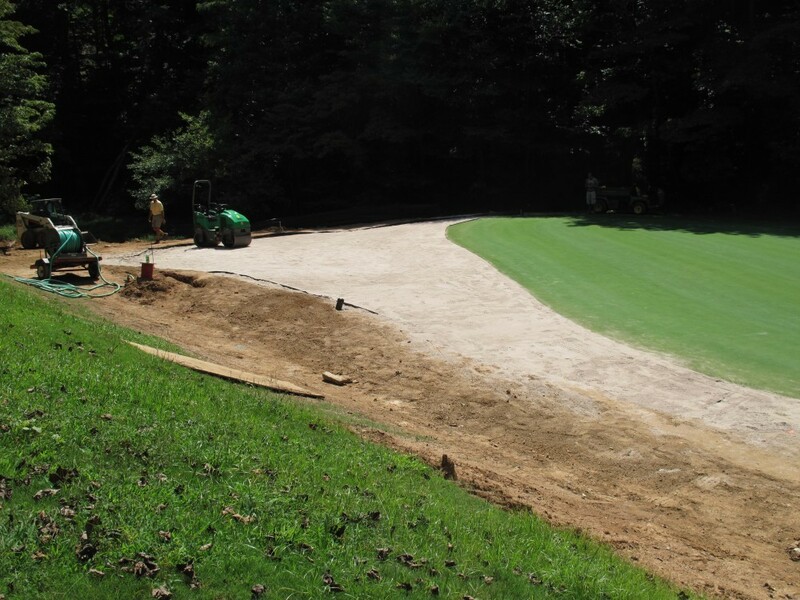 For the renovation, the green was expanded significantly in the back, introducing an abundance of new flag placements and softened slopes more aligned with the shot requirement on this short par three. 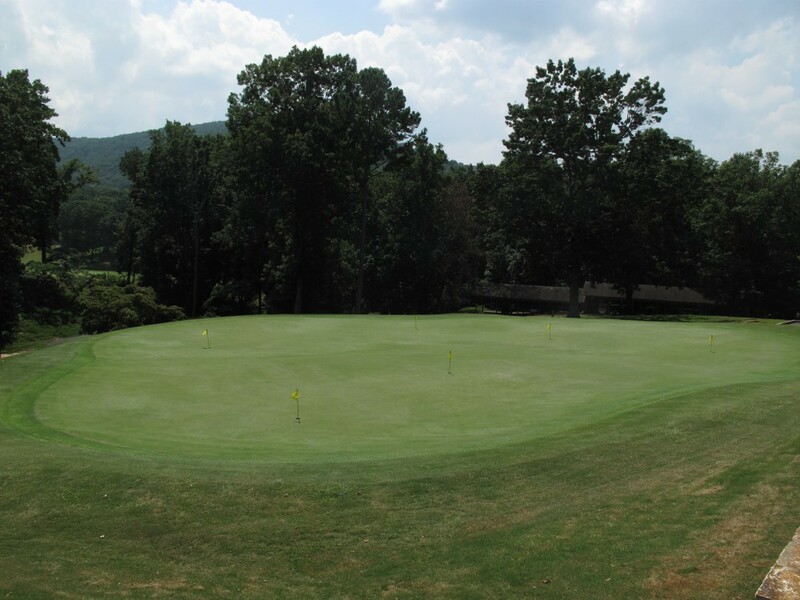 More than half of the former putting green had slopes well in excess of 4 percent – totally unusable and not representative of the slopes on course’s putting surfaces. The green was enlarged and the slopes softened where now over ninety percent of the green can accommodate a cup placement.